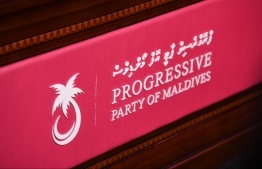 Opposition Progressive Party of Maldives (PPM) is heavily indebted due to its rigorous campaign for former President Abdulla Yameen Abdul Gayoom prior to last year's presidential elections, revealed a senior member of the party. Currently, there is no official number on which the party can be contacted, allegedly due to PPM's failure to settle its phone bills. Local telecom company Dhiraagu confirmed that no numbers are listed under PPM's name at the moment. PPM's official website can no longer be accessed as well. Speaking to local media Mihaaru, the senior party member expressed concern over PPM's current situation, claiming the cause of the debt to be inefficient party operations. "Someone should take responsibility for this", he said. PPM is also indebted to Island Aviation Services Ltd (IAS) for a credit line agreement signed during the presidential campaign to transport a large number of party members to Male'. PPM owes a total of MVR 4.8 million to the company. So far, the party has only paid MVR 1 million, following a case submitted to Elections Commission (EC) regarding PPM's failure to settle the costs. PPM declared that the party is in debt due to the government not issuing the funds allocated for the party in the state budget. The number of PPM members stood at 48,000 members as of July 31, 2018. Taking this number into consideration, the government allocated a total of MVR 18 million for the party. However, Elections Commission stated that the funds were withheld due to various cases submitted to court regarding PPM's operations. Formerly, PPM stated that the party's debt stood at MVR 8 million. PPM further asserted that the party will be able to pay the debts, and have a budget surplus, as soon as the state issued the party's funds.